One question I tend to get a lot is, “How do I print a Quiz..” Within the LMS, the answer is usually, “You Can’t.” No LMS is really set up to print out quizzes. 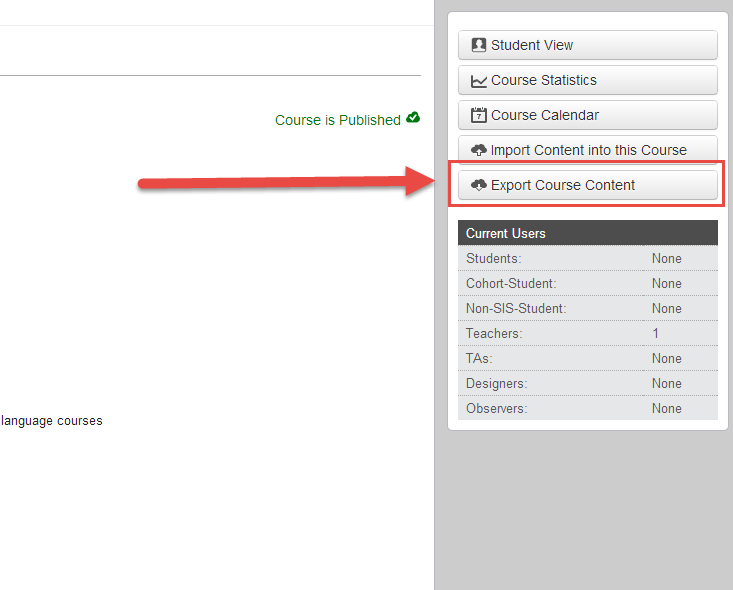 This has always been a huge issue, and I haven’t found either D2L or Canvas placing this feature high up on their road-map. 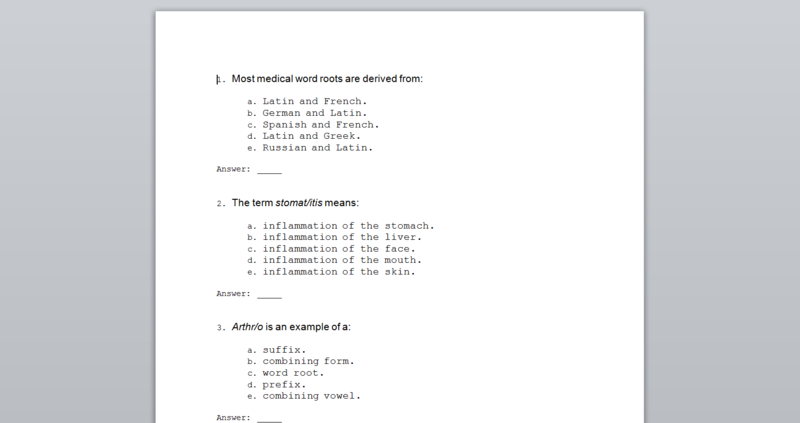 Luckily, I’ve found a workaround that solves the issue & prints out a well constructed quiz/answer key in Microsoft Word. How do I do it ? Well, I use Respondus 4.0 ! It’s a pretty simple process. It may take a while to do it the first time, but after that, I think it’s a 5 minute process. 2. 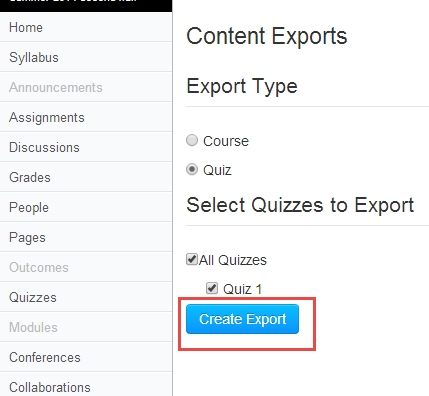 Choose to export a “Quiz,” select the quiz, and choose “Create Export.” The export process will begin, and it will provide you a link to download the zip file out of Canvas. 3. 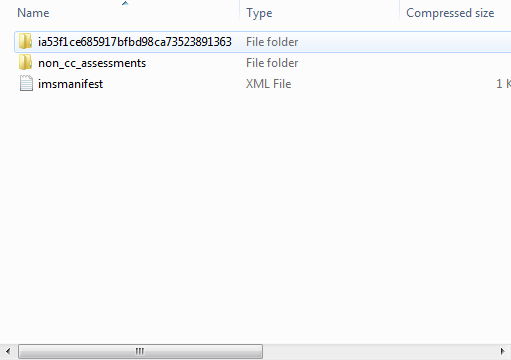 Locate the zip file on your computer after it has saved. 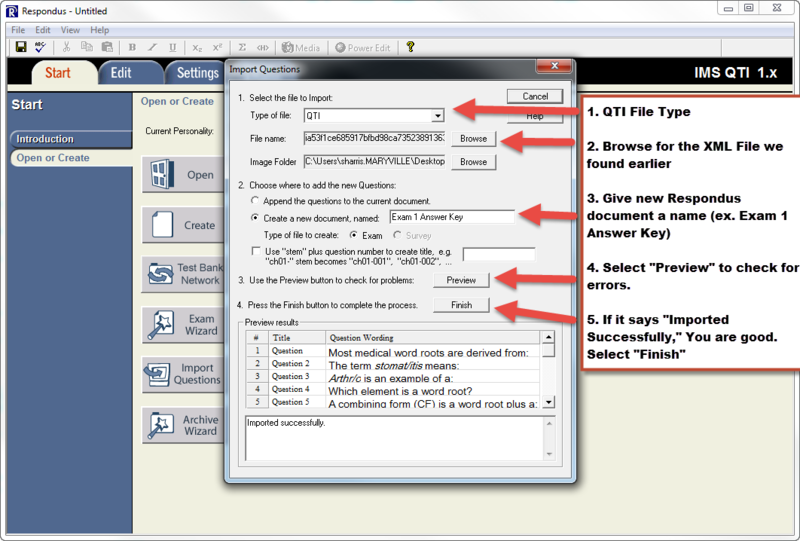 Click on the zip file, and locate the numbered file folder (ex. ia542343cd45345234ca0809809234). 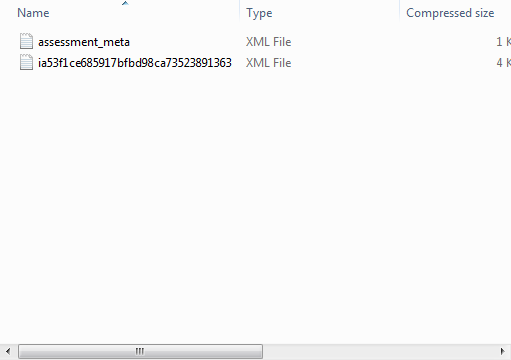 Within that folder will be a similarly named XML file. This XML file is the file you will need in the later steps. 4. Open up Respondus. 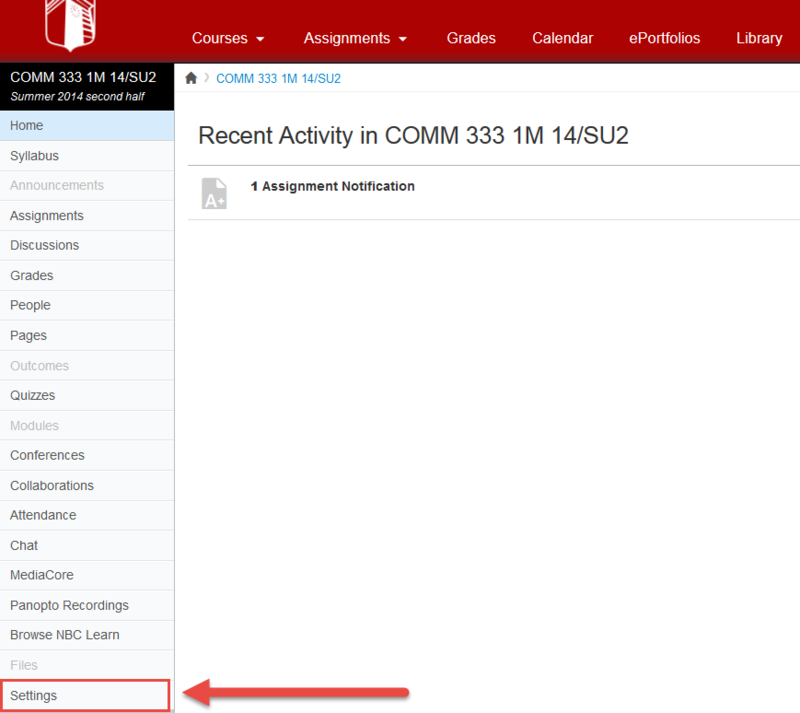 If you do not have Respondus, contact Sam Harris (sharris@maryville.edu) for information for downloading this software. 6. A dialogue box will appear. Take the following steps. 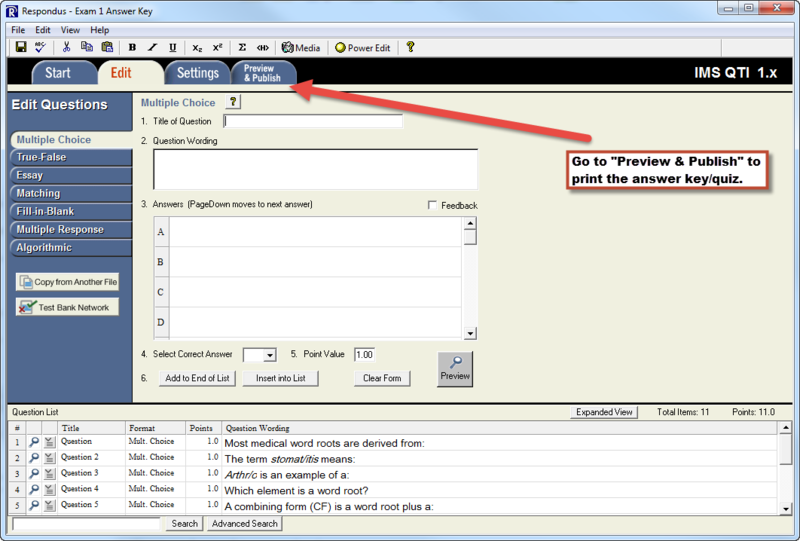 Use the settings next to each option to determine what you want your Word file to look like. When ready, select “Save to file” at the bottom. A dialogue box will appear asking you to give the Word document a name. Save the file, and open it it Word. That’s It ! 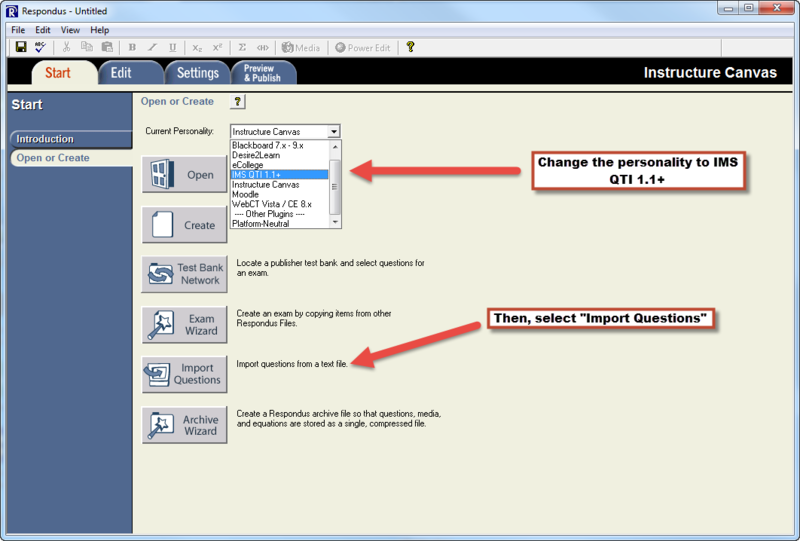 You just exported an exam out of Canvas, imported into Respondus, and exported to Word as an printable quiz. This entry was posted in Canvas: Quizzes and tagged Answer Key, Canvas, Printed Exam, Quizzes, Respondus, Summer 2014 by Sam Harris. Bookmark the permalink.